Home Blog Would you like to learn to speak Chinese naturally? Learning Chinese for the first time may seem like a very difficult proposition. It is completely different from the English language. As a result, many people may give up on it too easily. If you are ready to learn how to speak fluent Mandarin without needing tutors and long class hours, self-study courses may be what you need. The program will definitely show you how to learn Chinese without a teacher. While the Chinese language may be a bit complex, a number of people have successfully mastered it. The Chinese language is comprised of many characters, grammatical structures, intonations, and more. However, the step-by-step process learned through the home lessons will give you the confidence you need in succeeding. This article was created to help individuals understand the methodology and self-study process needed to navigate this foreign language. Unlike some other programs that may cause the learner to become intimidated, this program is user friendly. Be warned: This program is not for individuals who are merely dabbling in the language. You will have to show some degree of dedication and discipline if you want to become fluent. Who Are The Individuals Who Need The Mandarin Self-Study Classes? There are many reasons why individuals choose these classes. Many people who take the self-study courses have jobs that require them to learn the Mandarin language. You may also be a person who wants to visit areas where the Mandarin language is spoken. Or, you could be someone with family members who speak only Mandarin and you want to communicate with them. Regardless of the reason, the self-study Mandarin classes with give you the tools you need to effectively speak and understand Mandarin Chinese. What are the advantages of self-study learning? You will have the freedom to learn when and how you want to. There are no other programs available that can successfully show a person how to learn Chinese without a teacher. Choose your learning pace – This gives you the freedom of learning on your schedule. You are not required to commute or rush to a class during an inconvenient time. You can make your on schedule to fit your lifestyle. Choose where you want to learn – Take the classes wherever you want. Learn in the privacy of your own home, the coffee shop down the street, or even on your lunch hour. The materials can be access literally anywhere for your convenience. Choose the speed of your learning – How fast or slow you wish to go is completely up to you. Everything depends upon your personal goals. Moving at your own pace gives you time to master certain areas that may be problematic. Choose what you want to study – Again, it all depends on your personal goals. You may only want to learn enough to get by, or you could be a business person who needs more in-depth learning. 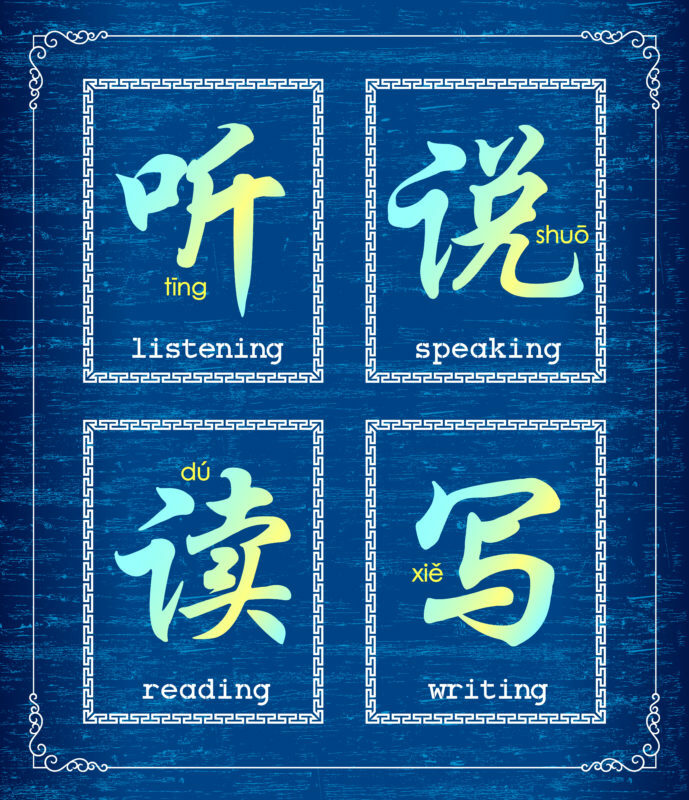 Learning Chinese characters and vocabulary are the foundation of the language. You will learn the basics and continue to increase your knowledge. You can go online and find a number of resources for Chinese vocabulary. Getting a good grasp on mnemonic techniques will help you transition into understanding the vocabulary. While some people may look at Chinese words and symbols and see gibberish, the words are logical in formation. The words are combined with two characters, which gives them reason. If you are a beginner in learning the Mandarin Chinese language, you will find that the there are three parts to the character. Pronunciation consists of pinyins and tones. So understanding and mastering the characters can be a bit of a chore. There are a number of cites where you can find out more about reading and writing Chinese characters. You will be walked through the many techniques and learn effective systems that will help you memorize it all. Visualization is a great technique to help retain your memory. The key is not placing limitations on yourself. Your goal should be to learn as much as you can on a daily basis. If you feel comfortable learning just a few characters per day, fine. If you feel that you can push yourself to learn more, go for it. The Chinese grammar has basic elements. You can get the comprehensive fundamentals at the All Set Learning Grammar Wiki site. This website covers a great deal of ground. Learners can navigate through a lot of information without having to read countless books related to Mandarin Chinese grammar. When grammar is being learned in schools, there is a tendency to overemphasize. Self-study classes eliminate the confusion and opt for a more pragmatic approach. The Wiki site also points out the importance of grammatical structure as a means to learn faster. Listening is a very important key to mastering the Mandarin Chinese. Exposing yourself to as much Chinese as possible can be a huge help. Watching Chinese movies, especially those with English subtitles are important. Another thing you may consider is using the Fluent U Chinese language learning site for more information. The site identifies the problems with identifying sites and sounds. Conversation Exchange – This is a popular exchange site to help people who want to practice language. You can check to see if there are people available in your area. Couchsurfing – This site links travelers and hosts. You can check the site to see if there are events in your area. Meetup – This site brings together people with similar interests. You can scan the site to see if there are people available who are learning Chinese language. If you want to learn the language, you will need to stick to a plan. Be persistent and put in as much practice as you can. Before you know it, you will have learned hundreds of characters. Learning Chinese may feel a bit intimidating at first, but you will get the hang of it. So, whenever you’re ready, dive right in. Start at own pace. In no time, you will be speaking fluent Chinese.